Here at Paseo de Roces, indulge in a life that surprises.Located close to the Makati Central Business District, just a walk from the Sunday Markets, luxury malls, offices, and parks, Paseo de Roces is a home that is truly yours in a city that is yours, too.Even the windows of every polished condo for sale perfectly capture the marvelous skyline of Makati and the relaxing view of the residences’ amenity deck, which has plenty of options to match your every interest.The excitement of Makati City, the vibrance of life with amenities, the privacy of an exclusive building, and the convenience of having it all in one place – all put together add up to one great home. Paseo de Roces offers state-of-the-art amenities that suit the needs of the young and upwardly mobile residents. It has the exciting recreational facilities especially designed for urban couples or young entrepreneurs. The comprehensive facilities and amenities available at Paseo de Roces will suit the athletic and leisure needs of young and upwardly mobile urban residents. There are several facilities for children as well, which will benefit residents with parenthood in mind and those with growing families. The wide range of leisure and exercise amenities will also appeal to urban couples and the single and upwardly mobile. Residence in any unit in the two towers will include access to an adult and children’s swimming pool, a multi-purpose function room, a fitness center, an outdoor fitness station, a day care, a reflecting pond, a kid’s center, an outdoor children’s play area, a meditation garden, a conference room, a reflexology walk, a business center, an open gazebo/cabana, a game room that doubles as an iPad room, a jogging path and a landscaped garden area that includes a view garden deck at the podium. 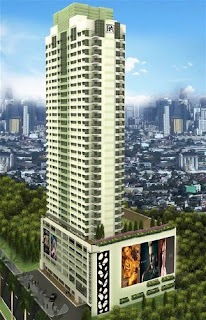 The availability of the Home pads, Office pads, Business pads and Shop pads (HOBS) units, which are telephone, internet and cable-ready makes this condominium especially attractive to small business owners, doctors, dentists, lawyers and other professionals who would like to enjoy the practicality and convenience of living and working in the CBD.